Your home is a place where you spend most of your time, so when it comes to roof repairs, there should be no room for any mistakes. We are Prime Roofing, a professional roofing service company that offers roof repairs and roof replacement in Neptune Beach, Florida. Our mission is to ensure that you and your family feel safe in your home. We will make sure that your home is solid and safe so you can enjoy it to the fullest. Whether it’s roof replacements or roof repairs, our roofing contractors in Neptune Beach have got your back. Without a doubt, there are plenty of different household problems that can occur in any home. However, anything roof-related should be at the top of your list of priorities. Problems such as a roof leak are more common than people think, and they seem like a minor one. Because of that, home-owners tend to slap a quick band-aid on the problem and hope for the best. This quick solution is never a good idea. Why? Because constant leakage leads to attic and ceiling damage, not to mention mold issues. All in all, a leaky roof is a serious hazard. Improper roof installation, wind damage and a number of other causes lead to roof leaks. So keep in mind you need a professional to help repair your roof. Moreover, you may even need to consider replacing it altogether. Any roof-related problem on your home or property we take seriously. Our many services include asphalt shingle roof replacement, roof repairs, skylight installation, new home construction, solar attic fans, and metal roofing in Neptune Beach. You can be sure that our staff consists of experienced and reliable workers who will do everything to make your home safe, no matter what the issue. Just by checking out our reviews and ratings, you can tell that we are a trustworthy roofing service. The five-star rating and the hundreds of positive reviews speak for themselves. However, we believe that trust is a serious matter, so we make sure that our team passes strict background checks before they can join our family. Our roofing company in Neptune Beach is one that you can rely on. The safety of your family is something we never take lightly. Our service is here to make your home the sturdiest, safest place it can be. Neptune Beach is located on the Northeast coast of Florida, nestled between Jacksonville Beach and Atlantic Beach. This quiet coastal location has a casual atmosphere that appeals to people of all ages. Beautiful beaches, friendly neighborhood, trendy restaurants, and other beautiful sights make it a prime location for anyone wishing to live near the beach. Due to the fact that the temperatures in Florida tend to get pretty high, keep in mind that choosing a quality roofing company such as Prime Roofing is essential. We’ll make sure you never have to worry about your roof. Roof repairs and maintenance are things that should be at the top of your to-do list. Unfortunately, it’s all too common that people tend to focus all their energy and free time on small projects that they can finish on their own. Projects such as roof repairs and roof replacements are postponed, or even altogether overlooked. If you haven’t checked up on the state of your roof in a while, it’s time to do so. Call our service at (904) 530-1446 for any roofing services you may require. Furthermore, if you’d like us to check out the overall state of your roof, call us for a free consultation. 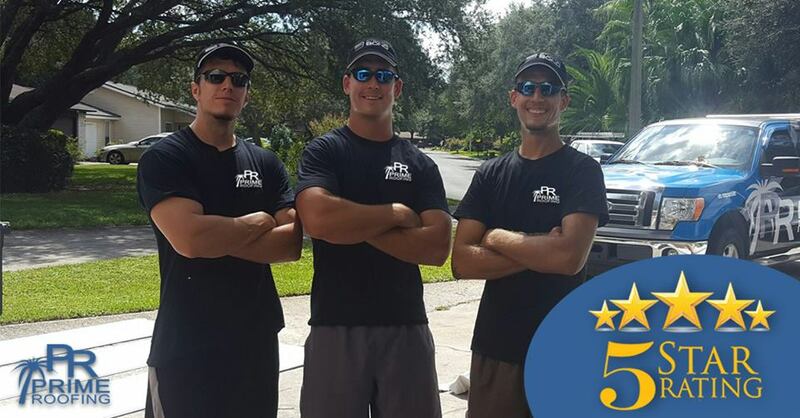 Our Neptune Beach roofers are eager to help. Two weeks later other repair services had not returned my call. Within an hour Prime had called and someone was here to see the problem in 2 days. The repair was completed within a week.